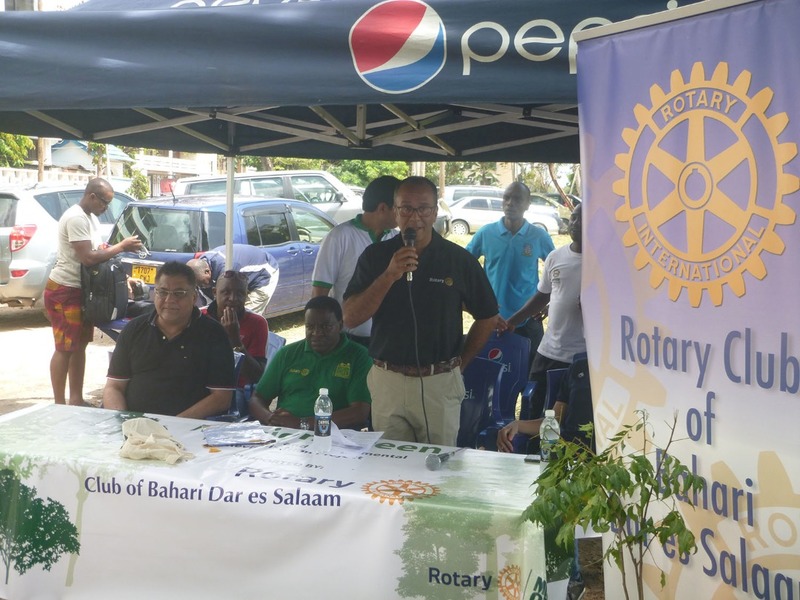 The Rotary Club of Bahari Dar es Salaam on Saturday September 30th, 2017 launched an environmental conservation project along Barack Obama Road in the City, with over 200 indigenous trees and shrubs planted in the ocean front area across the Aga Khan Hospital, to provide a clean shaded recreational area for residents and to maintain the natural beauty of the waterfront. 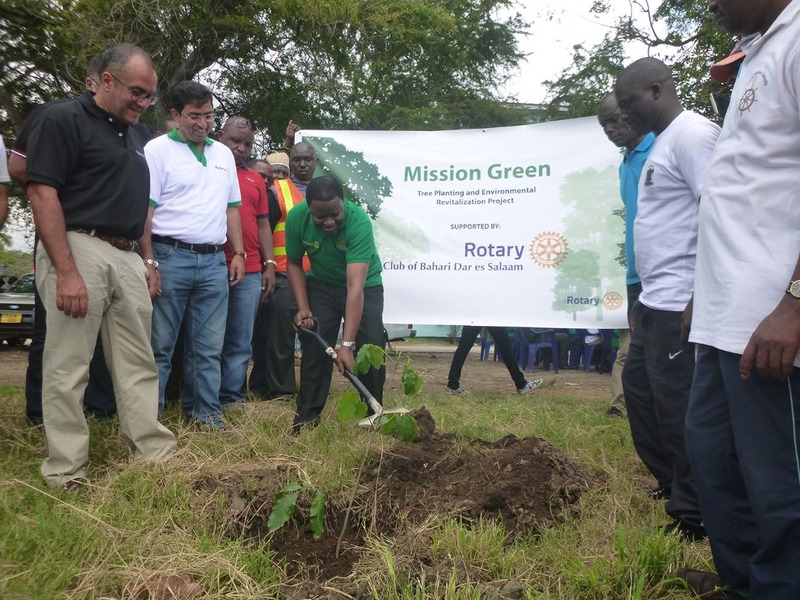 This was part of a greater Mission Green Initiative for Rotary District 9211, which encompasses Tanzania and Uganda, with the goal of planting one tree for every Rotarian in the District. 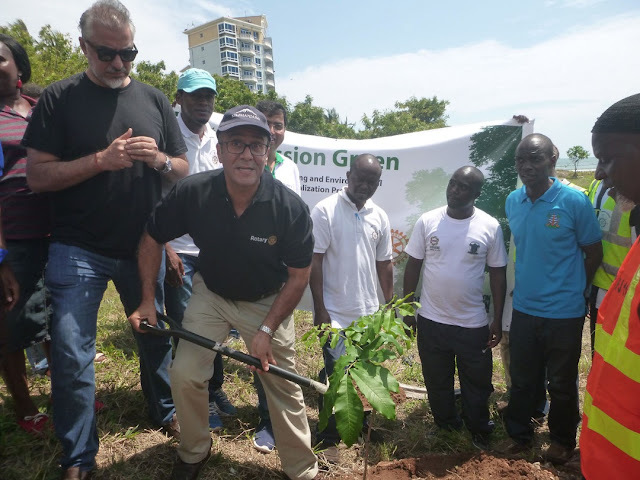 The plans for the park were developed in conjunction with municipal authorities, and water for the project has been generously donated by Aga Khan Hospital. President Amyn Lalji of the Rotary Club of Bahari le the team in the groundbreaking ceremony under the theme “Greening East Africa one tree at a time: Mission Green” spearheaded by Rotary International District 9211 Governor Kenneth Wycli­ff Mugisha whose aim is to mobilize the community and resources for the restoration and protection of the environment. District 9211 consist of Uganda and Tanzania. The annual increment of the urban population in both Uganda and Tanzania was 5.4% in 2015. (World Bank 2015) In comparison, the average for ALL developing countries is just over 3%. The proportion of our population that use wood products in form of charcoal and ‑rewood as fuel for food preparation is too high. 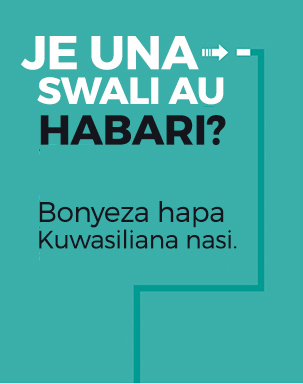 As high as 90% in Uganda’s case. 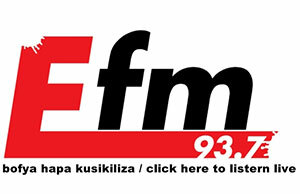 The forest subsector contributed up to 5.2% of the GDP in Uganda and 3.4% in Tanzania. The forest cover as a %ge of land area between 1990 and 2015 declined by 10% in Tanzania and 12% in Uganda During the period 1990 - 2005, total forest and woodland area decreased by 24.7% in Uganda and a whopping 37.4% in Tanzania (rainforests.mongabay.com). Chief Guest Permanent Secretary Vice President's Office Professor Faustine kamuzora flags off the initiative by planting a tree along Barack Obama Road in the City, with over 200 indigenous trees and shrubs planted in the ocean front area across the Aga Khan Hospital, to provide a clean shaded recreational area for residents and to maintain the natural beauty of the waterfront. Rotary Dar Marathon Chair Catherinerose Baretto plants a tree during the ceremony. 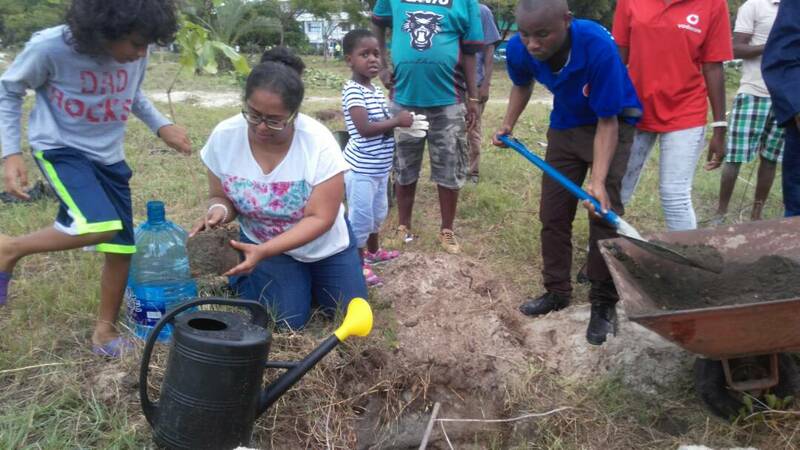 The five-year project started in January 2017 to December 2021 as the District wide project (Uganda and Tanzania) with the purpose of protectin the environment and reduce the adverse effetc of climate change and improve the income levels of susceptible groups.